One of the Core Values discussed in The Old Money Book is Health. It’s difficult to be Old Money, or old, or money, if you aren’t healthy. We all know that, in tandem with exercise, diet is essential to good health. We’re not talking celebrity-endorsed fad diets that come and go on bestseller lists and infomercials. We’re talking about a consistent intake of fresh fruits and vegetables and limited consumption of lean meats. As it turns out now, we can include significantly reducing our sugar intake can be added to the To Do List. A generation ago, sugar wasn’t really included in serious discussions about a healthy diet. Oh, sure, you wanted to limit the amount to avoid cavities in your teeth, but, until recently, mainstream medical professions didn’t really address the issue until their patients were diagnosed with diabetes. Too little, too late, as it turns out. 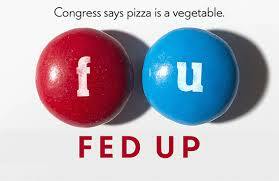 The new documentary film Fed Up, executive-produced by Katie Couric, reveals just how misinformed we’ve been about sugar and its devastating impact on American health. It’s in theaters now, and every parent should see it. We have an epidemic on our hands, as this film effectively points out, and we need to address it. Becoming informed about it is the best place to start. Go see the movie. Reduce your sugar intake. Thank me later. Is Kevin Bacon Old Money?